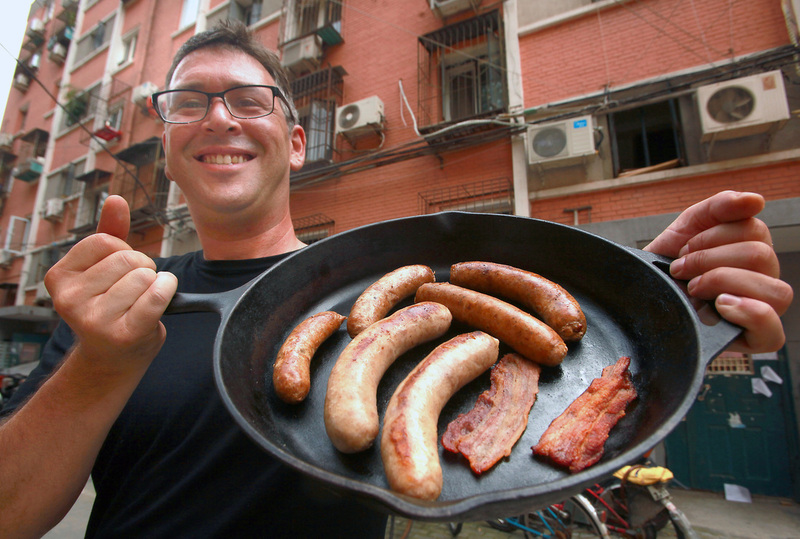 I started making sausages for BBQ's in Beijing with my friend Stephen in May 2012. I spent a few years reading about it and not doing a thing about it until he went out and bought some equipment and declared, "sausages were going to be made!" I have spent the better part of my life in and out of the food business. My mother wrote several cookbooks, including the first cookbook for the food processor "Inside The Food Processor" while i was crawling around on the kitchen floor. I did pretty much every job from dish washing and bar tending to menu development along the way. I believe here in Beijing people are not just looking for a taste of home, but food from a source they can believe in. I have met a lot of people in the food science world that have shaped my view on how food should be sourced and handled to ensure the best taste, quality and most importantly safety.